This entry was posted on Tuesday, January 11th, 2011 at 2:06 pm	and is filed under Radio frequency (RF), VelaShape. You can follow any responses to this entry through the RSS 2.0 feed. You can leave a response, or trackback from your own site. I was told that RF is not anymore the most effective technique for aestetic treatment and that microwaves applications can avoid the use of laser. if this is true, I would rather apply this tecnique to my nephew. can you please confirm? ( I am a hard sell ) I would also like to know what your nephew is seeking treatment for. In most cases RF isn’t used alone, it is often used with other technologies to enhance results. Why do you want to do an RF treatment? what results are you looking for? Do you live in AZ? what treatment exactly did you have done? is it the same as high frequency? actually depends on what you mean by high frequency. ALL of it is R/F including the LASER. LIGHT is R/F. Microwave is also. There happens to be a set of frequencies call HIGH. Just as what we think of as Radio (FM & AM). Just different Frequencies. No – we use a small hand held high-frequancy device to help kill superficial bacteria. A high frequency skin tool is often used in spas while an RF device is used in a medical setting. I am not familiar with tripolar, that is something I may want to look into. 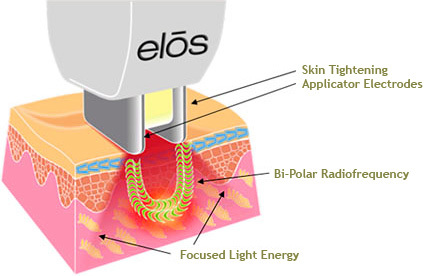 Do you know of a specific treatment (RF device) that uses tripolar? There is a tripolar device called Tripolar Stop. Can google it. I’m confused whether to get the Tripolar Stop or panda box which is bipolar only. Would the bipolar alone be enough to firm skin? Tripolar combines both Monopolar and bipolar, so maybe its more effective? I just don’t want to burn any fat in my face too, and Monopolar RF reaches fat levels to shrink fat cells.. I am sorry, I am not familiar with any tri-polar device, I would be skeptical. 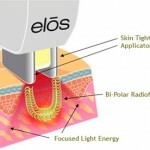 There is a newer device that uses ultrasound for skin tightening and lifting, maybe you would be interested in Ulthera. are you a esthetician or are you looking for a home device? Monopolor seems to be more aggressive than bipolar. I do not know anyone who has worked with the tricolor. 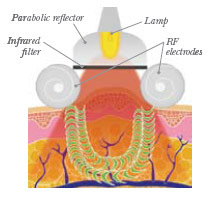 If the RF device is designed to treat face, it should not cause necrosis of fat, however RF is not as specific as Ultasound, maybe look into Ulthera. Do anyone know which is better for eye bag, eye circles removal, the mono or bipolar rf? To tell you the truth, I would not expect much improvement at all with any RF or non-surgical treatment. You need to have the fat pads removed. The good news is… it is probably a lot less expensive than you imagine. We offer RF treatments in our office, but I would advise you to save your money that you would use for RF treatment and consult with a Plastic surgeon. They can do this procedure in the office with little to no down time. I had this done myself in the office and it was easy, no recovery at all for me. Both RF devices would work well to tighten and improve the skin as would Ultherapy. If you have actual “bags” which are fat pads, you will most likely need them surgically removed, which you may find to be easier and less costly than you might expect. 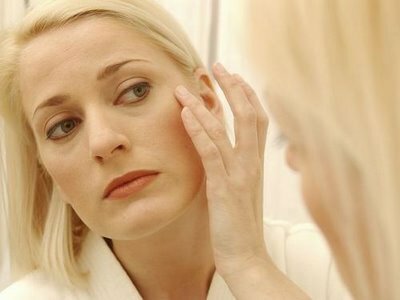 Often times removing the fat pads under eyes will also improve dark circles. – I know this may sound crazy, but a surgeon may even suggest to remove the fat pads that create the bags and then strategicaly inject fat under the eye and perhaps the upper face. As we age the fat pads in the face become “seperated” , where a youthful face has volume that is not seperated. All of this will address bags, tissue volume and perhaps dark circles, but not elasticty or texture. You may also want to consider a Fractional Erbium or Co2 laser under eyes (Profractiol or Active FX) another less invasive option would be a TCA peel under eyes. This all may seem overwhelming, but when you have a consultation with a surgeon you can better map out a plan that is appropriate for you. Try to find a good plastic surgeon that offers non surgical options as well. Both are good for skin tightening, but if you truly have bags then you will not see much improvement. Bags are actually fat pads, and RF can tighten the skin that holds the bags, but the actual fat pad has to be removed with surgery. I had Dr Shapiro remove the fat pads under my eyes, he was able to do it in the office and I didn’t have any down time – not even a bruise. It was awesome! He put my before and after photos on the website if you want to check it out, go to shapiroplasticsurgery.com You will probably spend the same amount of money on non-invasive treatments as you would for a simply surgical procedure that can be done in about an hour. I had VelaShape with a doc who got some good results in the first three sessions, but successive sessions (10) offered no further results. He discontinued the machine. Three years later I went elsewhere when I heard of VSII, on the third treatment I had a depressed imprint of the device head, and gouges and loss of fat on both thighs, as well has excessive volume loss. I stopped treatment. Two years later there is no improvement after trying many topical treatments. The “doctor” who allowed this spa said my damage didn’t look as bad as his wife’s botched lipo!! Beware of RF and all other lasers. I didn’t know that radio frequency treatments are used to tighten the skin. I can see why this would be an option to consider if you want to get rid of any wrinkles you might have. I’ll have to comment this to my mother the next time I see her. Which is better for skin tightening- Panda box or Tripollar Stop? Is there a more effective one you could recommend? I am not familiar with those treatments. Skin tightening generally means building collagen, so we look to treatments that create a wound healing process in the dermal layer of the skin. Peels like the Obagi Blue Peel or ZO controlled depth peel will provide tightening, as will fractional laser treatments, RadioFrequency Microneedling like Fractora. While all these treatments will stimulate collagen, the percent increased and duration it is up regulated will vary, typically a more aggressive treatment will offer greater correction, but also increase risk of complication. If I had to choose a best skin tightening treatment, I would go with Ultherapy, because it works deep in the dermis AND at the top of the muscle in what is called “SMAS”. Ultherapy has an indication for lift and tightening, however it is a non-surgical treatment and provides a non-surgical result. Collagen production with Ultherapy is increased up to (I believe) 60% for up to a year. Nothing will up regulate collagen permenatly, so you may want to repeat treatments every year or two. Using a prescription tretinoin Retin-a can help keep collagen production up, a topical vitamin-c will aid in collagen production and help prevent collagen break and a broadband SPF is a must, because sun exposure will cause a decrease in collagen. Ultherapy treatments run about $3000 per treatment and are repeated every year. A non-ablative fractional treatment might only be $750 each and repeated 4 times, scheduled 6 weeks apart, so it is still $3000. Only wanna comment on few general things, The website style is perfect, the subject matter is rattling great. “Taxation WITH representation ain’t so hot either.” by Gerald Barzan.